Established in 1985, Towson University’s English Language Center (Towson ELC) is the oldest intensive English language program in the Baltimore/Towson area. We offer English for academic purposes, putting you on a direct pathway to success. CONDITIONAL ADMISSION for UNDER GRADUATES is available to all students who meet the university admission requirements. You will have a direct pathway from Towson ELC to Towson University if you get a B or better in all ELC advanced level 4 courses. No TOEFL or IELTS needed! If you do not complete all advanced level 4 ELC classes, you may enroll in NON-DEGREE courses at the university as a part-time student. This will enable you to begin your studies and maintain your visa requirements. 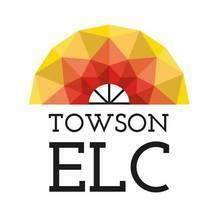 GRADUATE level 5 Towson ELC classes are specifically designed to prepare students who want to enter graduate school. You will also need to take the TOEFL or the IELTS. We offer classes in Intensive Academic English, TOEFL Preparation, English Conversation & Culture, and Accent Modification. English Conversation and Culture provides opportunities to practice speaking, learn about American culture, and gain valuable intercultural communication skills. Practice your conversation skills as well as reading, writing, listening, and grammar. We offer a choice of semester and weekend sessions. Also, learn about U.S. culture and history in the classroom and through field trips in Baltimore and the surrounding area. Ideal for part time students and Au Pairs! In the weekday (13 weeks) semester sessions, you will practice your conversation and intercultural communication skills. You will also work on reading, writing, grammar, and listening. Learn about U.S. culture and history in the classroom and through field trips in Baltimore. The teacher will plan lessons and themes for discussion based on the interests of the students. Accent Modification gives confidence to students and professionals who want to improve employment opportunities and presentation skills. This course will help modify your accent and is ideal for business people, faculty, and students! Classes are small and custom-tailored to meet individual needs. TOEFL Preparation Course provides practice for both the iBT and ITP(Institutional TOEF) university admissions tests. We offer a 13 week preparation course for students who want to take the paper-based and internet-based TOEFL tests. IELTS Preparation Course provides practice for the IELTS university admission exam. Intensive English Program prepares you for English for Academic Purposes. English for Academic Purposes - Pre Undergraduate Studies puts you on the pathway for conditional admission to undergraduate studies at Towson University for qualified students. English for Academic Purposes - Pre Graduate Studies prepares you for graduate admission to Towson University. Integrated Core Skills Classes: Reading, Writing, Grammar and Listening, Speaking, Grammar. English Applications Classes: American University Experience, Study Skills, Presentation Skills, Vocabulary, Pronunciation/Phonics/Spelling, and New Media. Small Class Size averaging 12- 15 students, giving opportunities to speak, work in small groups, and apply skills in real-life language learning situations. Conversation Partner Program: offers practice with native English speakers. Towson ELC Collaborate: creates opportunities to develop intercultural communication skills. Highly Qualified Experienced Teachers make learning English exciting, challenging, and fun! Full-time undergraduate F-1 Visa students take Integrated Core Courses and one English Application Course per semester for a minimum of 18 hours of instruction per week. Graduate level students take Integrated Core Classes plus an Independent Research Project. Part-time study is available for students who do not require an F-1 Visa. They may enroll in one or more courses for a minimum of 3 hours per week. All classes meet Monday through Friday.